Year 2 Enjoying Book Week! 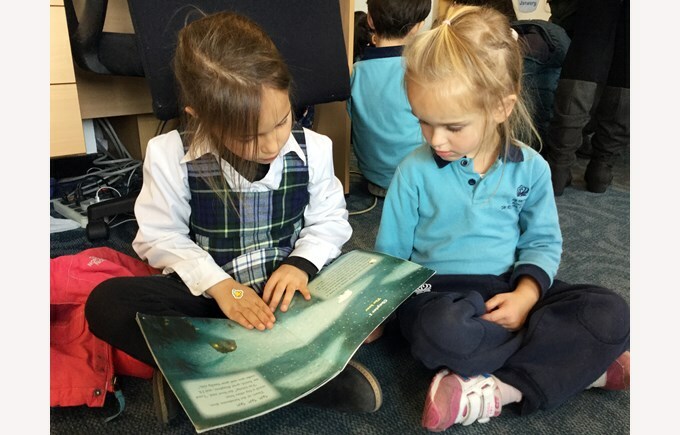 Year 2 have been busy this week enjoying Book Week activities. 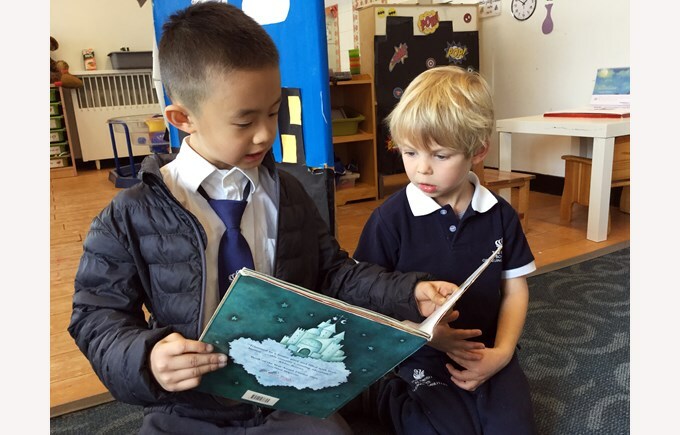 A highlight of the week was visiting the Early Years campus to be reading buddies with the nursery children. It was fantastic to see the Y2s reading so confidently to the younger children and they enjoyed discussing the books and asking the children questions. Another highlight this week was our reading with hot chocolate assembly we held on Wednesday. Key Stage 1 children brought their favourite books to the hall and relaxed with their friends reading some books together. Continuing our topic Chocolate, Year 2 this week have been learning about the author of Charlie and the Chocolate Factory, Roald Dahl. They practiced their comprehension skills to answer questions about his life and then used this information to write a fact file about the great author. It has been a great week and the children have had lots of book related fun!